That makes all of the analysis below this line incorrect. I got the Citi Prestige® Card in March, and I consider it the best personal credit card offer on the market at the moment. How good is the sign up bonus? In the first 12 months, I’ll get $1,700+ worth of value for a $450 annual fee. That’s a net of $1,250 for the sign up bonus even though I haven’t assigned a value to some of the card’s other benefits or its 3x and 2x category bonuses. Let me break down why I value each component of the card like I do, so you can see whether your values are higher or lower. I could easily spend all my points on American Airlines flights, but I usually get even better value by transferring my points to Singapore miles to book award flights to Europe, Hawaii, and South America. Because of all these options, I value ThankYou Points at 1.8 cents each, making 50,000 worth $900 to me. You’ll value the bonus points higher if: you transfer your ThankYou Points to miles and value the awards you book with your miles higher than I value mine. Do the math. The Citi Prestige® Card offers a $250 Air Travel Credit per calendar year. 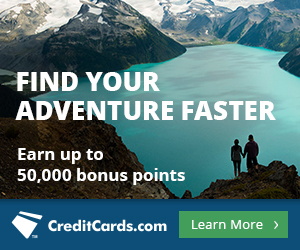 If you get the card in May 2015, you have the rest of 2015 to use one $250 Air Travel Credit, and you get a new $250 Air Travel Credit in 2016 that you can easily use before your next annual fee is due. I used my first $250 Air Travel Credit in the first month I had my Citi Prestige® Card by purchasing flights, paying my award taxes, and paying for baggage fees with my Citi Prestige® Card. All these charges and anything else that codes as a purchase from the airline are credited back to you on your next statement up to $250 per calendar year. Since I know I’ll use my next $250 Air Travel credit in 2016 before my next annual fee is due, I consider it part of my sign up bonus. You’ll value the Air Travel Credit higher if: impossible. This perk is capped at $250 per calendar year, which caps it at $500 by your next annual fee. You’ll value the Air Travel Credit lower if: you can’t spend $250 on air travel, broadly defined to include almost any charge handled by the airline. I find this unlikely if you are a reader of this blog. At the very least, you should be able to buy an airline gift card that doesn’t expire. 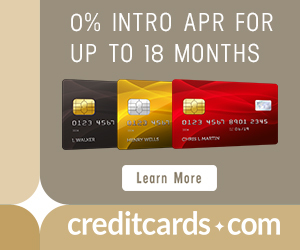 Almost everyone should value this benefit at $500 in the first 12 months of having the card. The Citi Prestige® Card offers free American Airlines Admirals Club access every time you fly American Airlines or US Airways for you and two guests (or your spouse and all your children.) Normally Admirals Club access costs $50 per visit or $500 per year. The Citi Prestige® Card also offers free Priority Pass lounge access no matter which airline you’re flying for you and two guests (or your spouse and all your children.) Different Priority Pass lounges have different one-time access prices, but retail is around $25 to $50 per visit. Lounge access does make my trip more pleasurable because of the free wifi, free food, free alcohol, and occasional extras like showers, but I don’t value lounge access anywhere near its retail price. I value lounge access at about $10 to $20 per visit depending on the lounge. I also almost always travel solo, so I rarely use the free guest privileges. For those reasons, I value my first year of free lounge access at $200. You’ll value the lounge access higher if: you travel more than I do, you value lounge visits more than I do, or you travel with people whom you take in as guests. Retail value of the lounge access is about $1,000 for the year. You’ll value the lounge access lower if: you travel less than I do or you value lounge visits less than I do. Global Entry is amazing. Here’s a post in which I explain how to get it and why you want it. With Global Entry, you’ll breeze through Customs and Immigrations every time you return to the United States. And you’ll breeze through security at every American airport because Global Entry gives you automatic TSA Precheck. I already have Global Entry and don’t need it again for another two years, but I still value this benefit at $100 because I can use it to pay for anyone else’s Global Entry one time. You’ll value the Global Entry credit higher if: impossible. It is capped at a $100 value. You’ll value the Global Entry credit lower if: you have Global Entry and don’t value gifting someone else Global Entry at $100. Book any hotel through Citi’s travel concierge and get the fourth night free. It’s an amazing benefit that can get you way more than 25% off your hotel stay if you maximize it properly. But I can’t remember my last four night paid hotel stay, so I had to put a $0 value on this benefit. If you book a lot of stays, I could see this benefit being worth $1,000 or more in the first 12 months. You can get three rounds of golf per calendar year at participating courses with the Citi Prestige® Card. I love golf, and according to this Frugal Travel Guy article, there are some nice courses with greens fees up to $250 that participate. But I’m away from my golf clubs for so much of the year that I can’t be sure I’ll take advantage. If you play three free rounds in 2015 and three more in 2016 before the next annual fee, this benefit should be worth $500 to $1,500. I’ll be earning a lot of 3x points on Air Travel and Hotels and 2x points on Dining at Restaurants and Entertainment in the first year, but I also have the Citi ThankYou® Premier Card, which offers 3x ThankYou Points on Travel including Gas and 2x ThankYou Points on Dining Out and Entertainment, so the Prestige’s categories don’t offer me any extra value. If you will use the Prestige’s category bonuses a lot instead of 1x or 2x on other cards, make sure you value all those extra points earned in year one as part of your sign up bonus. I value the sign up bonus–which I define as the benefits of the first year minus the annual fee–of the Citi Prestige® Card at $1,250. That’s with a very conservative estimate of the value of worldwide airport lounge access and no valuation given to the fourth-night-free-on-paid-hotel-stay benefits, the six free rounds of gold in the first 12 months, and the category bonuses. What’s your valuation of the sign up bonus of the Citi Prestige® Card and why does it differ from mine? Where do you get 1.8c per mile from? Singapore points aren’t worth that (too high FQ). But, if you can redeem at 1.6c per mile on AA, that’s $800 worth of tickets. Example: If you manage to find 2 RT flights from NYC to LAX at $400 each, you would get 10,000 miles for the miles flown (with no elite bonus). AA points are worth about 1.8 cents each = $180. So depending on your price to distance to distance ratio, the bonus is probably worth $900-1000. I book plenty of Singapore awards where I get more than 1.8 cents of value per mile. I linked three in this post. Also, I don’t think it makes sense to add in the AA miles earned to take the value of an AA airfare redemption above 1.6 cents. I agree this is a great card and has tremendous value. I also agree on the value of SA miles. But I don’t think you can really say the card perks are part of the signup bonus. The signup bonus is 50k TY points. I notice in addition to the $450 annual fee the Citi Prestige website mentions that the “annual authorized user fee is $50”. So does that make the total cost $500? No. The annual fee for the Prestige is $450. If you add an authorized user to your account, like getting a spouse a card, that has a $50 fee. The reason is that the authorized user will also get a Priority Pass membership. Ah 🙂 Thank you for taking the time to reply. I read the fine print, but still didn’t get what the possible extra $50 was for. Great write up. Even though spend costs you nothing, I still think you need to subtract $60 from the grand total, because if you didn’t have the card, wouldn’t you be earning 2% on $3000 (real or manufactured) spend? Also, had the card for almost a month, and I have yet to find a merchant that hasn’t struggled with figuring out which way to swipe the card!!! But that doesn’t deserve a subtraction. That is frustrating that the stripe is in the “wrong” place.